Various countries in the northern hemisphere have welcomed the spring season of the year 2018 in their own and varied ways, yet many who hold deep-rooted traditions of spring celebrations, continue to be hostile towards each other. With the world fast moving away from the much cherished idea of globalisation, the need for regional cooperation and connectivity is felt with even greater intensity in places like Afghanistan; a country linking south, central and west Asia. For decades, this region has been greeting the spring season with ‘Nowroz’ (translating to ’new day‘) festivities, featuring elements portraying life, love and wisdom. 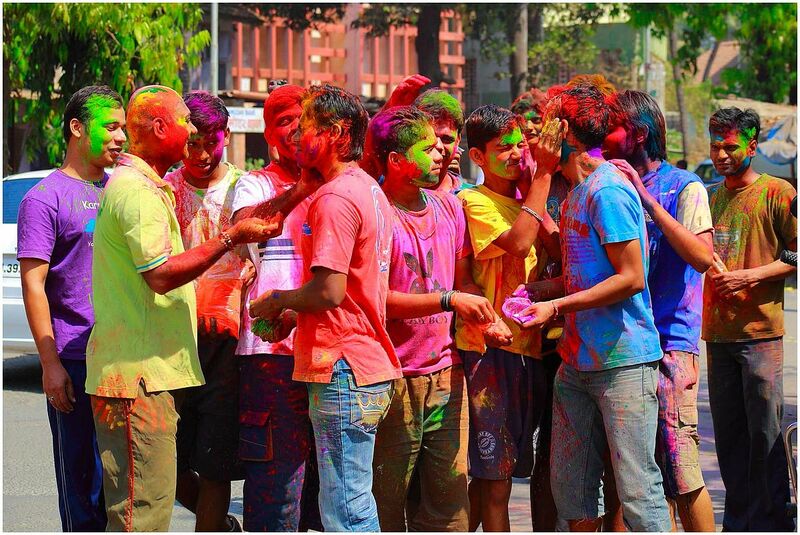 Further south, ‘Holi’, the Indian festival of colours and love has been bringing people closer together as the winter air shift to its mild mediator before summer begins. However, increasing political rifts caused by miscalculated and malicious moves, led by a number of dominant groups in these countries, have forced people away from each in a time that has historically brought them together. Since pretty much forever, Afghans have been attracted to India. But hostilities between Pakistan and India have hindered the path to prosperity; chipping away at a future that promises greater connectivity and cooperation in the entire region. There are also fears over spillover impacts of insecurity in the central Asian states, who are not accommodating the land-locked Afghanistan. Iran too is cautiously engaging in profitable trade but not generously opening up for regional connectivity while allegedly engaging as proxy in the Afghan conflict. While Pakistan has been dubbed the godfather of the rebels in the war-ravaged country. The people from this Asian region are able to share so many similarities when they embrace each other within a relatively free environment, inside a third country. This is all because there are no shadows of manufactured fears or the engineered hatred. But it is only a matter of time before the citizens of this region will realise the ruling elite – for their own systematic and deeply entrenched interests – have been keeping them under siege over fabricated fears and hatred towards one another. Like many civilized and diverse countries across world, Afghanistan should be allowed by its neighbours to live in peace in spite of the differences as well as the parallels they might have. The ragging war inside the country; claiming so many lives over past four decades, remains a proxy one of the neighbours and international powers. The historic connection of spring festivities provide an ideal opportunity for the region to celebrate, love and live rather than embark on shady maneuvers of hatred and death.